The buzz for Angie Thomas’s debut novel The Hate U Give came well in advance of its publication. The young adult novel debuted to rave reviews, won several awards, and sat atop The New York Times bestseller list for 50 weeks. But the story about black teen Starr Williams, who witnesses the police shooting of a childhood friend, has drawn the attention of would-be censors, who have attacked it for being “pervasively vulgar” and for the depiction of drug use, profanity, and offensive language. Released in early 2017, the book landed in the eighth spot on the American Library Association’s top ten challenged and banned books list. Inspired by the Black Lives Matter movement, The Hate U Give addresses issues of racism and police violence as witnessed by Starr, a 16-year-old girl who navigates between her poverty-stricken neighborhood and the wealthy suburban prep school she attends. She is the sole witness to the police shooting of her best friend Kahlil, who is unarmed but may or may not have been a drug dealer. In addition to starred reviews from Booklist, Kirkus, School Library Journal, Horn Book Magazine, and more, The Hate You Give won the Coretta Scott King Honor, Michael L. Printz Honor, William C. Morris Award, and more. It was also longlisted for the National Book Award, and a cinematic adaptation of the book is scheduled for release in late 2018. 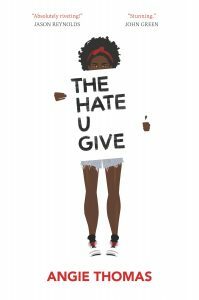 In late 2017, The Hate U Give was banned by school officials in Katy, Texas, where it was challenged for “inappropriate language.” District Superintendent Lance Hindt pulled the book from shelves during the review process in violation of the district’s own review policies, claiming he did so based on its “pervasive vulgarity and racially-insensitive language…not its substantive content or the viewpoint expressed.” The move drew widespread condemnation from free expression advocates, but the actions of a teen in the district helped save the day. Ny’Shira Lundy collected 4,000 signatures on a petition calling for the restoration of the book. The district relented and put it back on shelves, but it wasn’t a total victory. Students are required to get parental permission to check it out. The Hate U Give appears to be on track for a spot on next year’s top ten challenged and banned books list. This summer, the book was challenged, alongside Jason Reynolds and Brendan Kiely’s acclaimed All American Boys, by the Fraternal Order of Police in Charleston, South Carolina, where the books are part of the Wando High School summer reading list. 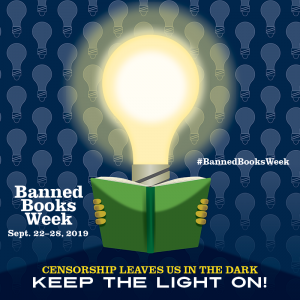 President of the Fraternal Order John Blackmon, says that the books are “almost an indoctrination of distrust of police and we’ve got to put a stop to that.” Once again, several members of the Banned Books Week Coalition have stepped up to defend the book, which is going through the district’s formal review process. Find more of ALA OIF’s top ten challenged and banned lists here.